It may be a strangely rainy summer for central Illinois … with a high of only 64 degrees predicted for today. It may not be the summer for bumper crops and beautiful vegetable gardens. It is, however, just another day in paradise! Especially when compared to this photo! It’s all about perspective; wouldn’t you agree? 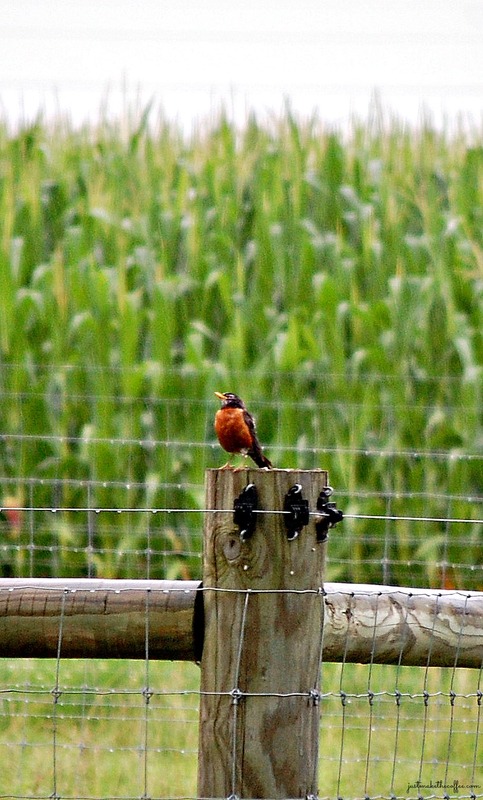 This entry was posted in Country Living, Positive Thinking and tagged Central Illinois weather, Illinois summer, nature, Perspective, robins. Bookmark the permalink. Thank you for stopping by! Have a great day, Merri! I always love your photos. Our highs this week are forecasted to be in the 90’s! We have the 3 H’s (known for our area in the summer) going on right now: Hot, Hazy and Humid. Thanks, Dianna. Your storm cloud photos were so impressive … I could feel that humidity! We are supposed to be 90+ on Saturday. 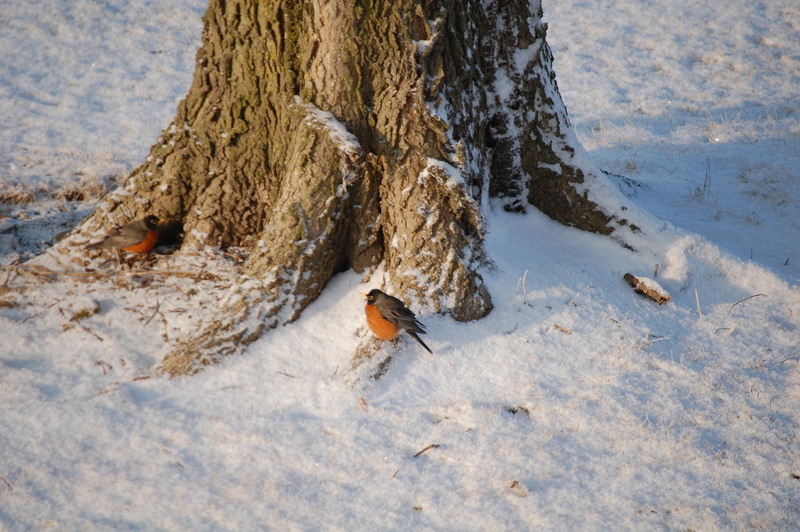 I have wondered how our summer birds can enjoy the winter like weather, but they seem too. Perspective is everything. I would take your 64 degrees….we will hit 95 with 75% humidity. I’m grateful for the breeze. That is miserable! We are supposed to be low 90s Saturday and have an outdoor wedding to attend. That weather sounds heavenly. Dry and in the 90s in Memphis today. Today we have a heat advisory. Good thing the ground is well-watered. I can always find something about the weather to complain about (and with good reason). But you’re right. We inhabit and beautiful amazing world. Sometimes paradise is cool. Here today paradise is hot and humid. It’s all good. If we didn’t have the extremes, I suppose we would take sunny and 70 degrees for granted?? July has been hotter than most. Hot and humid, then thunderstorms. When is a girl supposed to get outside to hike? My boots keep calling my name. Exactly! Hope you get your opportunity soon.